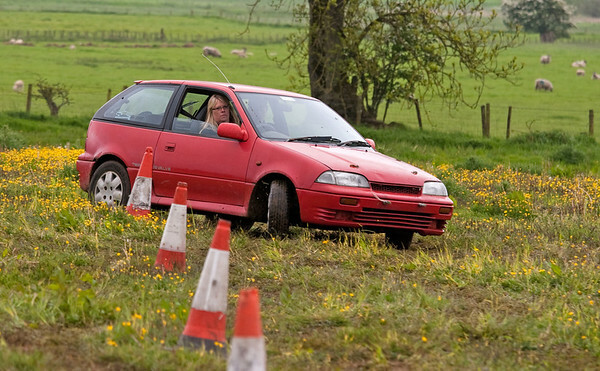 The first Spadeadam Autotest of 2011 was held on a stubble field at Longpark ,Scaleby on Sunday 15th. Ten competitors lined up for 5 different tests and with two goes at each. The three club cars had been brought back from there hibernation for the winter, a little work by myself, Neil & Joe Thomlinson and Ian Robinson in the week running up to it. With the tests set-up on the Saturday afternoon the field was quite hard and dry, and Neil set about cutting down the Thistles which had thrived over the winter, some were 2ft high hiding the cones!! 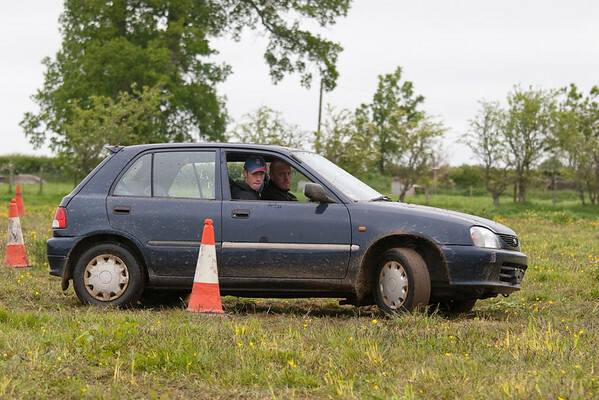 The day of the autotest was wet but thankfully faired up as we arrived but left the top of the surface very slippy and clarty. The first test Jerry was quickest with 1m 34 with Nigel next nearest on 1m 41 closely followed by Barry, Neil V & John on 1m 42. Test two was a repeat and for the later runners got slippier, Jerry again quickest but slower with 1m 40. John only 1 second slower and Barry another second further back. Test three & four were marshalled by Ian Robinson. 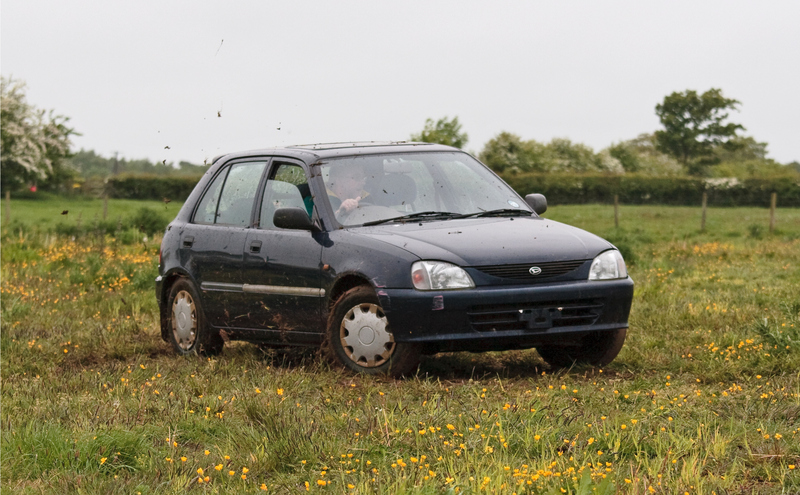 Quickest this time was both Jerry & Barry on 1m 20 with Geoffrey on 1m21 in the smoky Corsa followed by Nigel on 1m22. On the next run Jerry was quickest on 1m 19 with Geoffrey, Nigel & Barry on 1m 21. 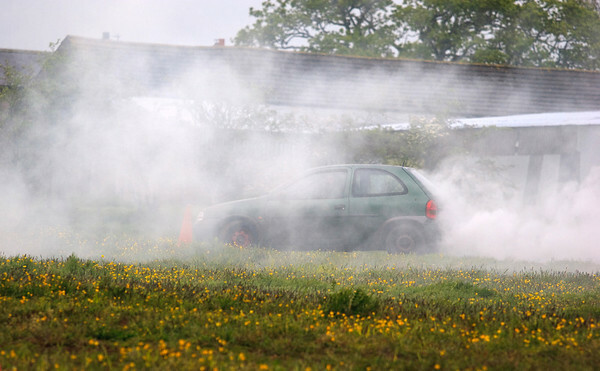 The next set of routes were further across the field, Tests 5 & 6 manned by Michael. Jerry continued his run of fastest times with a blistering 1m 10, next quickest were John & Barry on 1m 17 with Neil V on 1m 18. The re-run Jerry matched his time of 1m 10, John got a 1m 15 with Caroline getting 1m 16. Test 7&8 marshalled by Ian, Jerry & Geoffrey topped the times for this one with 1m05 followed by John, Helen & Nigel on 1m08. The next run, Jerry again matching his time of 1m 05, Nigel & Neil T got 1m 07. The final test joined the two test sites together to give one big faster, flowing test and got the thumbs up from most competitors. Jerry got his clean sweep of fastest times with 1m 52. The only others to break the two minute barrier were Neil V and Nigel with 1m 59. Then John on 2m00 and Helen on 2m 04.